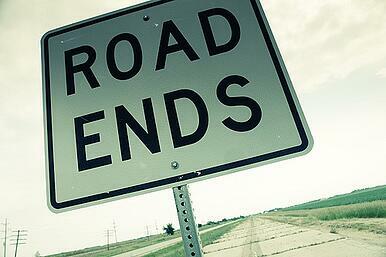 Roadmaps are becoming an obsolete marketing tool as the industry shifts. Testing is becoming simpler and faster, and agility is all the hype. Prepare for marketing roadmaps to be a thing of the past. Before the panic attack sets in (what?! No plan? ), let me explain. It seems like most marketers out there are as Type A as I am. And we love plans, lists, roadmaps, and goals. They make our lives easier. Follow the list, check off the tasks, OCD is under control and we’re all happy. Having an agency hand you a 6- or 12-month roadmap outlining exactly what will be accomplished each month, hallelujah! One monthly call to make sure each line item was accomplished, check in on the progress of your traffic and conversion increases, and you’re a happy camper. Heck, we even wrote a blog post around how to create an inbound marketing roadmap back in 2014. Step 6: Traffic and Conversions, voila! Seems pretty standard, right? Clients we’ve worked with would be happy to see that it contained all of the basic digital marketing services they were looking for (again, check, check, check off the list). While it’s feasible to create a roadmap of things that you CAN do, quite frankly, unless you are holding a crystal ball, it is nearly impossible to predict what we SHOULD be doing for you in month 1 and beyond. And by the way, if you do have a crystal ball, we have more important things to talk about than roadmaps, but I digress. After enough of these problems, we finally took a step back and recognized that as marketers, we need to ensure that our clients are less focused on a set plan, and more focused on success. So why do you need it? For starters: growth hacking is all the hype. Testing is faster. There is an over-abundance of marketing tools, apps, ideas, and guides just waiting to be utilized. Using tools like Optimizely, Qualaroo, and Crazy Egg, allows us to test a website, tweak, and see nearly immediate results. We can launch a new website pop-up campaign and gain dozens of new followers immediately! On the contrary, that website tweak might not work and that new growth hacking idea might not yield the same results for you as it did for our last client. However, with an agile mindset, marketing team, and plan, we are armed with the ability to deploy the test, see the result, and either expand on it, or pivot from it quickly. Everyone wants to increase their revenue and sales, but to do this you need to really dive into your website analytics. Do you have a lot of traffic but have a hard time converting them? Do you find your conversion rate is fairly high, but your trickle traffic isn’t cutting it? Do you have a number of stale customers who purchased from you once and you haven’t re-engaged since? Once you understand where your needs lie, you can begin diving in and develop a strategy. What websites have the same customers as you, but are not competitors? 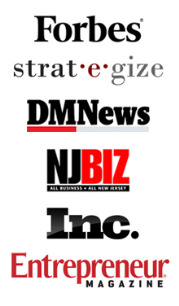 How can you develop a mutually-beneficial partnership with these websites? Ideas: promoting each other’s products/services a few times a year via email, offering a discount for each other’s products/services upon checkout. Where are they and how do you get in front of them? Ads can get very sneaky these days- you can run a pre-roll ad on YouTube before your competitor’s video plays. You can target people on Facebook who like your competition. Understand how you differ from them and make sure you knock it out of the park promoting those key differentiators. Where are they gathering online? Are they engineers who are part of a LinkedIn group for CEOs of engineering firms? Launch a LinkedIn ad targeting that group. These should be driving your messaging- from the content you create on your website to the call-to-actions in your ads. Having strong messaging is the key to driving the RIGHT traffic to your website. Google’s algorithm is driven by content, user experience & RankBrain, and Links (CURL). If you want to be found in the SERPS to boost that organic traffic, you need to consider all 4 items and ensure you have the right agency to steer your organic strategy in the right direction. Yes, it really is as simple as that. Install a user survey tool and let the insight begin to flow in. We love Qualaroo. It’s simple to setup, easily customizable, non-intrusive for the website user, and has provided us with nothing but marketing bliss. Back to the task at hand- conducting these user surveys will give you the insight into why people aren’t converting on your site. 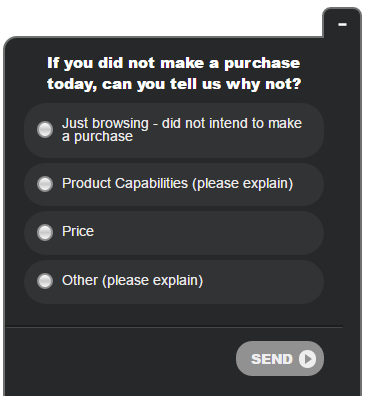 This is an example of a Qualaroo survey that we have running for one of our clients right now. The survey questions, workflows, and strategies are endless. I’ll be creating a post on surveys alone in the coming weeks, so stay tuned for some ideas there. Again, it really is that easy. Get started with Crazy Egg and LookTracker (both very affordable tools) and you’ll see exactly where people are looking and clicking on your website... and more importantly where they’re not. Between the user surveys and heatmapping, you can start to generate some pretty creative ideas for what to test on your website. Start to build out some hypotheses and get started. Utilize a tool that best fits your needs: Optimizely, Google Content Experiments (it’s free! ), or VWO are all great options. We find that a lot of clients are conducting remarketing campaigns, but they aren’t nearly as granular as they should be. Dive into Google Analytics and develop your remarketing lists through there. Get personalized with your ads- show different ads depending on the pages they visited or how deep they got into the sales funnel. Email marketing works... if you do it the right way. Segmentation and personalization are the 2 keys to email marketing success. Set up some creative, unique drip campaigns specifically geared towards re-engaging customers who have been MIA for the last 6+ months. You already won them over, they converted. Now it’s just a matter of reeling them back in for more. Look into setting up referral programs or rewards programs to give your customers incentive to stick with you and promote you. There are lots of tools out there that make this daunting task a walk in the park. Know your net promoter score. How do your customers really feel about your brand? To be a successful business and stay ahead of the competition you must keep your finger on the pulse of your customer. Tip: Qualaroo can be used for this, too. By now you might have a list of ideas a mile high. That’s good! Don’t let it overwhelm you. This is where the agile approach takes over. Prioritize your list based on what’s realistic, what you feel has the highest opportunity of working, and what you can get started with right away. a. Get organized. GrowthHackers has an awesome projects tool that allows you to track all of your ideas and tests right within their platform. They also have a ton of ideas already generated for you. b. Develop the goal/hypothesis for each item. c. Launch the test- whether it be your partnerships idea, a creative ad campaign, or a new Optimizely test. d. Monitor the test- keep your eye on it, how is it going? Do you need to make some tweaks to the strategy? e. Analyze the results- did it perform as you expected? If it was successful, how can you build this out more? If it wasn’t so successful, are there changes you can make or a different approach you can take to try again? Your idea list should always be growing, the priorities should be shifting, and new tests should always be in the works. 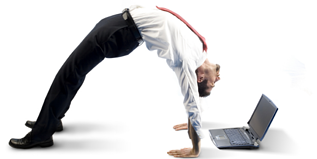 Are you sold on the agility marketing model? If you’re still planning out your strategies months in advance, take some time to meet with your team and discuss a shift in your thought process and operations. I think you’ll find that taking the agile approach to marketing makes way for more creative thinking, team collaboration, exciting campaigns, and successful results.